JMH Architecture is a one-person firm specializing in residential remodeling, custom home design, and energy efficient architecture. JMH Architecture is based in Davis California and was founded by Julie M. Haney in August of 2004.
Who is Julie M. Haney? 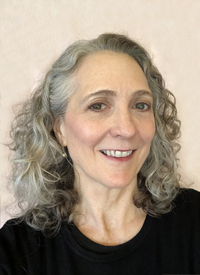 Julie M. Haney was raised in Los Altos California, where, as a teenager, she started her first business hauling, gardening, and antique swapping. She advanced to stained glass artist and traveler. Then, while working at the Ahwahnee Hotel, in Yosemite National Park, the seed was planted to become an architect. She continued restaurant work while she received an AA Degree in Math at Columbia Junior College and then an Architecture degree from Cal Poly SLO. In 1988/89 she went to architecture school in Copenhagen Denmark and got her first look at Cohousing and creative interior lighting. Inspired by the Danish bicycle culture, she and her husband moved to Davis, CA in 1992. She enjoys living in an energy efficient home, that they remodeled in 2010; creating metal and ceramic sculpture, skiing, hiking, backpacking, gardening, biking, recycling, photoshop, oil painting, and photography. Architect Julie M. Haney specializes in listening to her clients in order to create an environment that nurtures their spirit and expresses who they are and how they live. Julie believes that the demands of daily life can be enhanced by living in a home that is designed for the needs of the people who live there. A space that is created to be inspiring, has pleasing proportions, an uplifting quality of light, a sense of flow, and most importantly embraces the way her client’s live. A strong proponent of reducing our dependence on non-renewable resources, Julie implements solar design and green building practices whenever possible and cost effective. During the initial meeting we will establish the scope of your project and determine if we are a good fit. From there we will work together under an hourly contract to develop a schematic design. The goal of the schematic design process is to identify a design direction and establish a construction budget. After the schematic design and an outline of the desired finish materials are completed, we will have 1-3 contractors provide an estimate of the probable construction cost of your project. From my experience, having an estimate at this point is a valuable tool for maintaining control on your budget. Typically, once the design direction and budget have been established JMH Architecture will continue design services with a fixed fee contract to complete the working drawings, which will be used for permit submittal and bidding/construction documents. During Construction I will observe construction for its compliance with the design intentions as described in Construction Documents. Remodeling or building a dream home can seem overwhelming for most people. I feel that the benefits of investing into one’s home can be very rewarding. 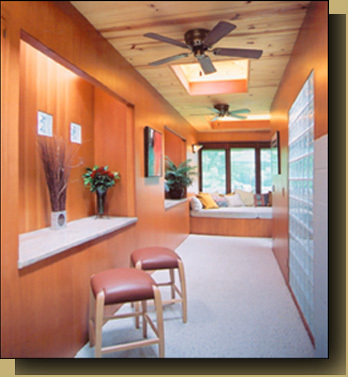 It is my goal to help facilitate the most enjoyable design and construction experience possible for my clients. Projects personally completed: 160 remodels, 10 custom homes, and 1 restaurant within a Design-Build format. An architectural and interior design firm, specializing in commercial and residential projects. I designed and managed multiple residential projects, including a 5-unit, 3 story townhouse project, an 8-unit elder co-housing project (Glacier Circle Senior Community, in Davis, CA), a women’s shelter, and various custom home and remodel projects. Dedicated to providing creative design solutions based on my client’s lifestyle needs, I have completed numerous remodels and several custom homes. References are available upon request. Copyright © 2019 | jmh-architect.com | All Rights Reserved.